Being a wedding photographer means you're intimately a part of someone's big day and usually by the end of the day I find myself as part of the family. Years ago I shot one of my first weddings for Toni and Kevin and immediately felt like part of their family. Since then I have shot weddings and babies and any big moment for lots of their friends and family and I'm so excited to be doing the same for Jacky and Chris, who I have now photographed as wedding guests and bridal party members! 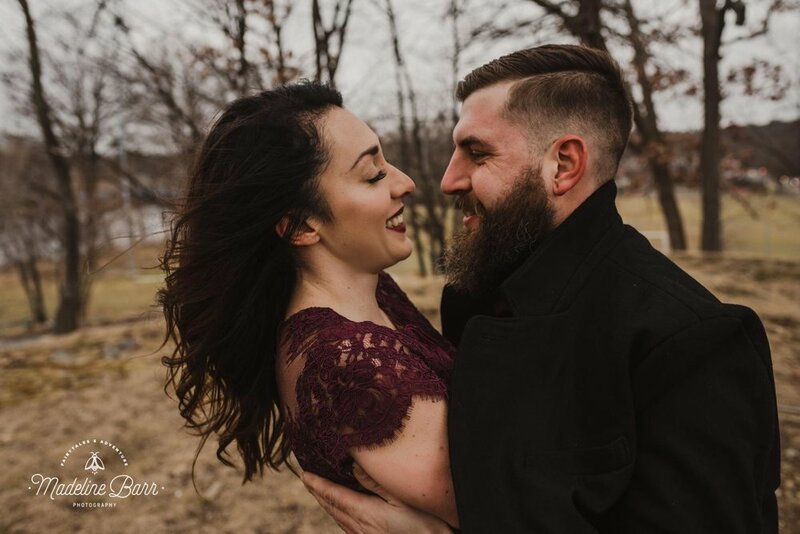 Despite it being absolutely freezing and windy on the day of the shoot, these two were totally up for whatever and let that bitter breeze make them even cuter and snuggier than they already are. 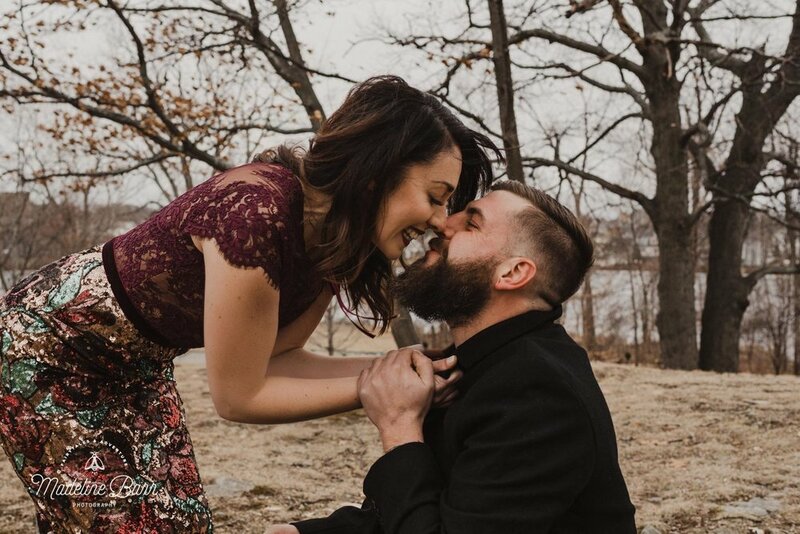 Can't wait for their big day in December!